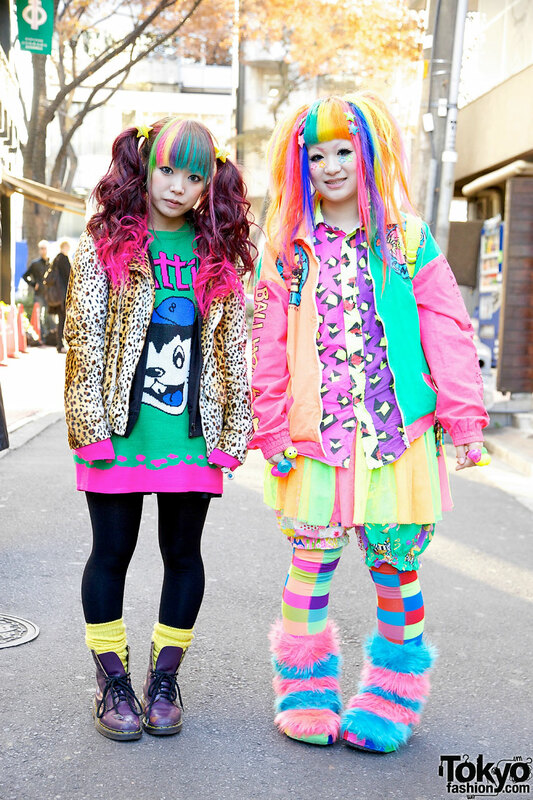 Here are two fun and friendly Harajuku girls named Marina & Maimai wearing extra-colorful fashion with decora touches. 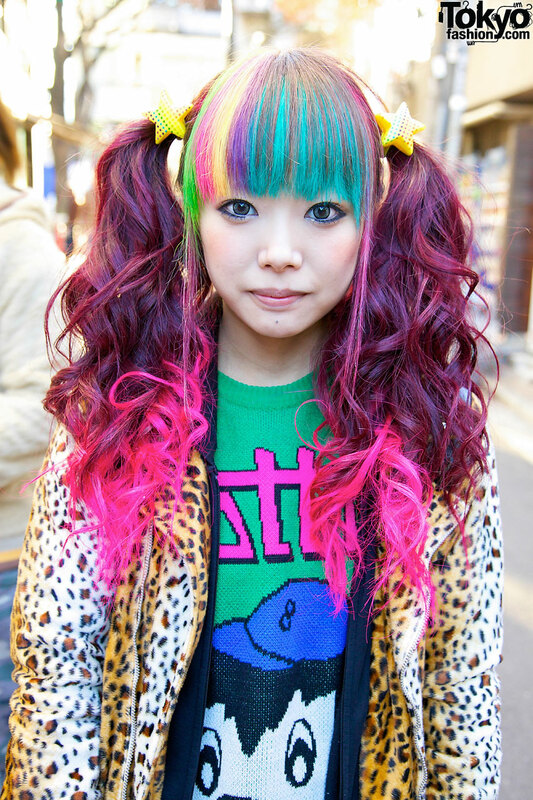 Decora used to be a common site on the streets of Harajuku, but these days we don’t see as much of it. 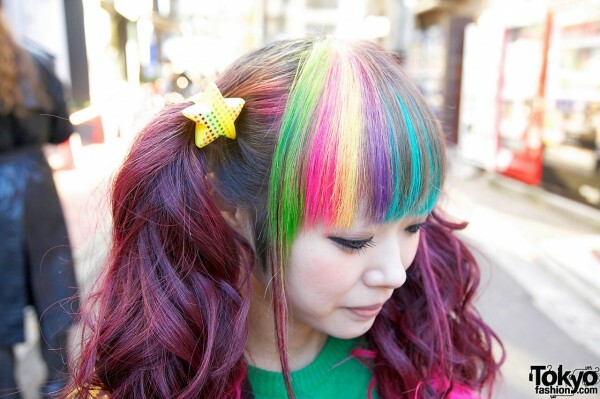 So, when we spotted these awesome rainbow-colored girls, we were very happy indeed! 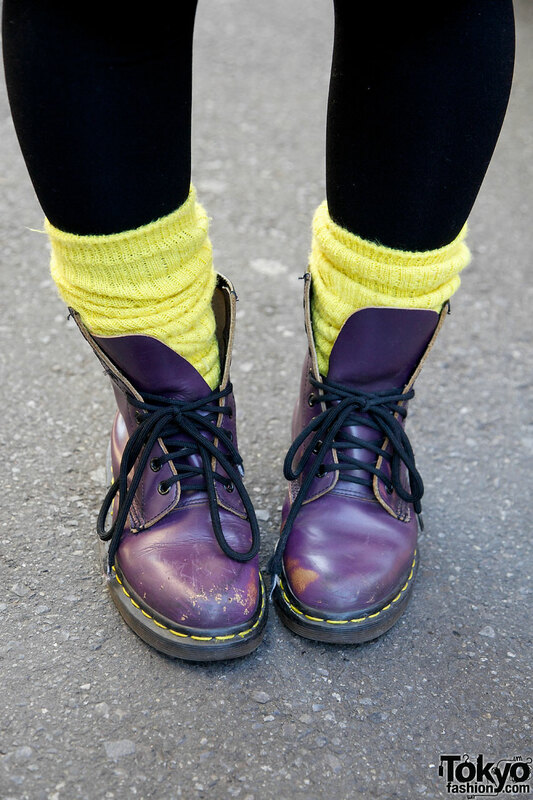 Marina – on the left with the pink-tipped hair – is wearing a leopard print jacket from US Rags over a knit sweater from Galaxxxy, yellow socks (or leg warmers), and purple Dr. Martens boots. 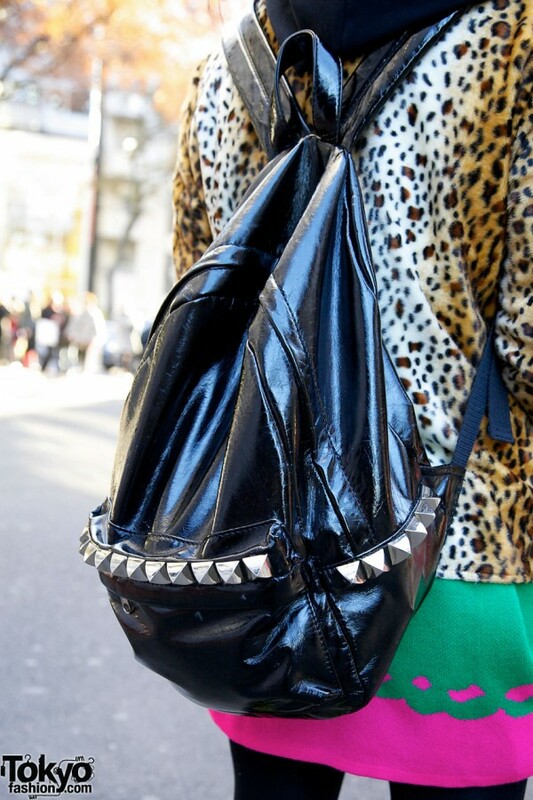 Accessories include star hair clips, an eyeballs ring, a bat ring, and a studded backpack from Monomania. 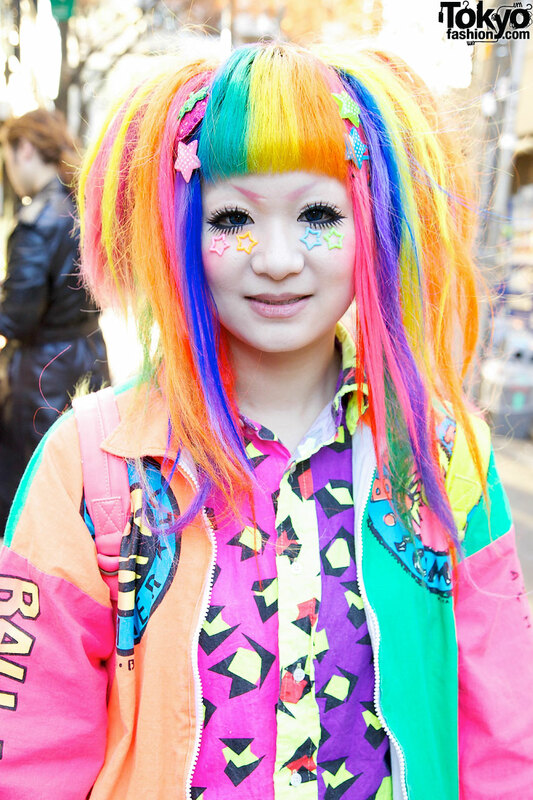 Marina’s favorite shops include Candy Stripper and Galaxxxy and her favorite type of music is baroque. Maimai – with her cheerful rainbow hairstyle – is wearing a super colorful print jacket over a patterned button up shirt, balloon shorts that she hand-made herself (featuring cute patterns & characters), patchwork leggings, and furry pink & blue boots that are also handmade. 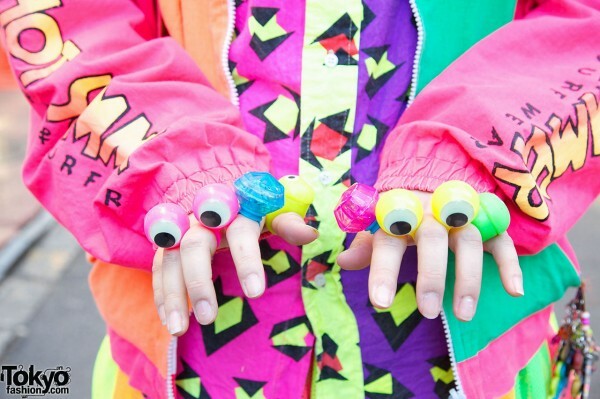 Her accessories – all of which she either bought in Harajuku or made – include a strawberry hair clip, star hair clips, star stickers below her eyes, an amazing backpack covered in furry material, Trolls, and googly eyes, and multiple eyeball rings. 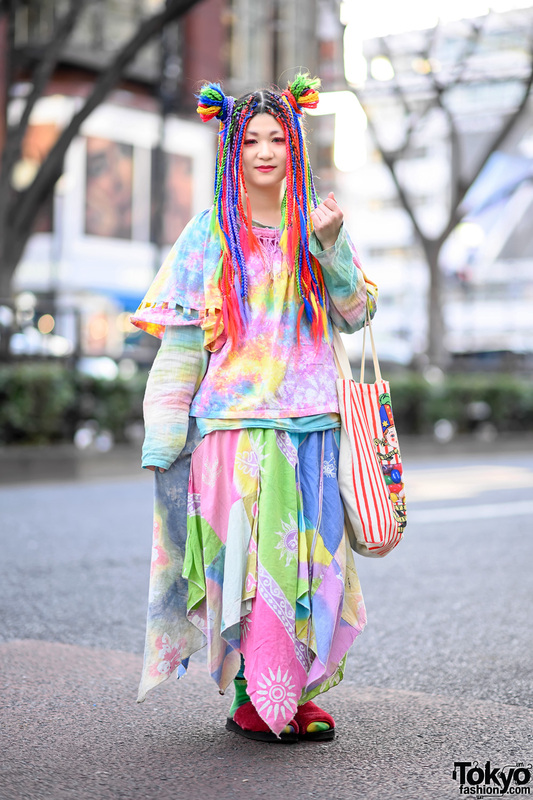 Maimai’s favorite place to buy clothing is at resale shops and her favorite band is Glay. If you’d like to follow the adventures of these Harajuku girls and see more pictures of them, check out Maimai’s decora blog! Click on any of the street snaps to enlarge them. 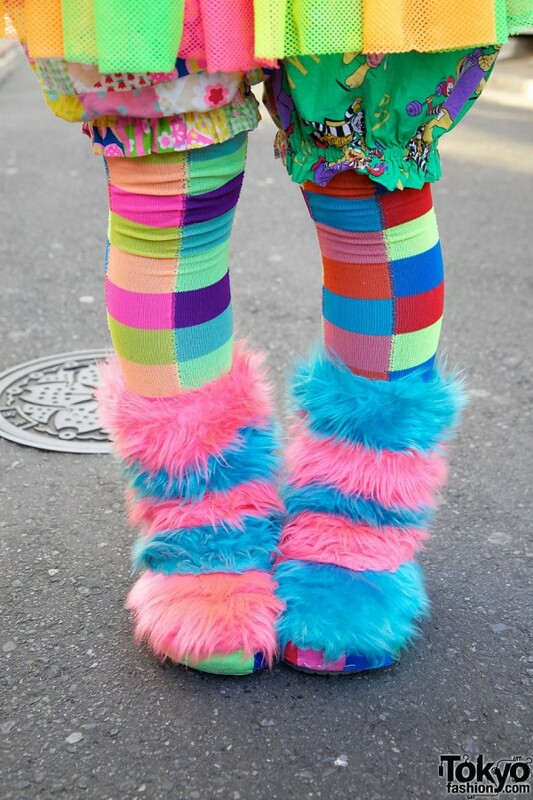 and some people think i’m a walking rainbow! thy look wonderful.. OMG> i love da colours.. 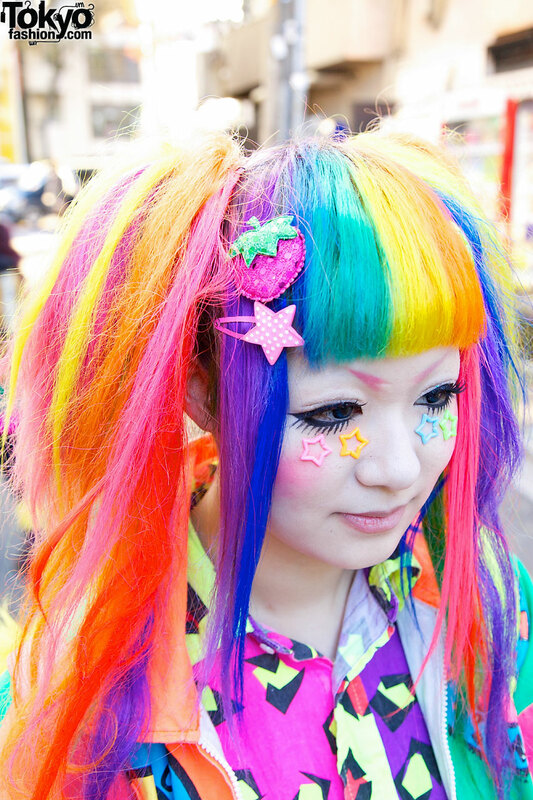 I love marina’s kaju decora looks! Looks like boots snookie would wear! !